At the Mass Transit Network community we connect mass transit professionals worldwide and provide the latest developments in the mass transit industry. From daily updated news to product showcases, job vacancies, tenders, upcoming events, literature and dozens of companies indexed in the Yellow Pages for the mass transit industry worldwide. Mass Transit Network is an interesting and easy way to interact with people in your working field, and an effective and efficient method to generate new business contacts. Join our community! Register for free and get yourself connected to find out the advantages. 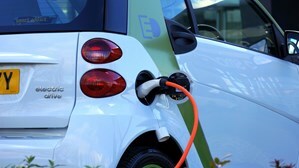 The government of Canada says it is to invest CAN$300 million over three years in zero-emission vehicles. Marc Garneau, minister of transport, says: “The Government of Canada is working to accelerate the adoption of zero-emission vehicles to help make it easier for Canadians to be part of the solution to climate change and to reduce their daily driving costs.” The federal purchase incentive is part of this year’s budget and applies to vehicles that are purchased or leased on, or after, 1 May. 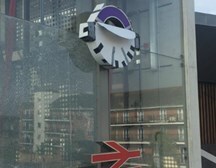 Four months after the original planned opening of Crossrail, reports have been released today that could push the Elizabeth Line's inaugural journey back to 2021. That prediction is, according to a source that spoke to the BBC, the worst-case scenario but even in the best case it won’t come before spring 2020 – nearly two years behind schedule. The primary reason for the delay is down to the signalling system, which owing to a software mismatch between the infrastructure installed in the 13 miles of tunnels and on the 70 Bombardier trains. The UK rail industry’s leading research and development organisation, the Rail Safety and Standards Board (RSSB) has awarded £1 million to winners of a sustainability initiative to decarbonise the nation’s networks. Following a challenge set out last year by the former transport minister, Jo Johnson, to remove diesel-powered trains from the UK by 2040, the RSSB set up the Decarbonisation Task Force. Since the introduction of that, the group has been on the look out for solutions outside of just electrifying the network, including battery- and hydrogen-powered rolling stock. 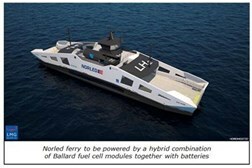 Ballard Power Systems Europe A/S – a subsidiary of Ballard Power Systems, Inc. (NASDAQ: BLDP; TSX: BLDP) – today announced that it has signed an Equipment Supply Agreement (ESA) with Norled A/S, one of Norway’s largest ferry and express boat operators, to provide two of the Company’s next-generation 200 kilowatt (kW) modules that will be used to power a hybrid ferry planned to begin operating in 2021. The Ballard modules will be designed and manufactured at the Company’s new Marine Center of Excellence at its facility in Hobro, Denmark. 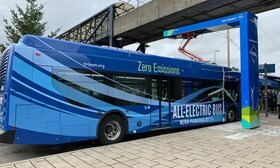 Since their inception almost four years ago, Volvo’s all-electric buses operating on route 55 in Gothenburg, Sweden, have demonstrated that they are a viable and sustainable public transport solution for urban areas. Now the latest customer satisfaction survey results show that its passengers are also increasingly satisfied with the route. 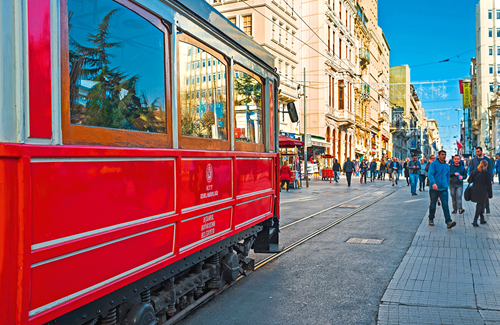 West Sweden’s public transport authority, Västtrafik, has revealed the results of its latest customer satisfaction survey, conducted in the last quarter of 2018.
nagels reflects on the process of supplying RFID season tickets for bus and tram systems in several Turkish cities, and how they met the security demands and climatic conditions of the Turkish transit operator. "Do you have something to say about Mass Transit Network?Please send your testimonial to: moderator@masstransit.network"
Description: Rural transit providers are interested in exploring how technology can help increase operating efficiencies and improve safety. Technology can transform scheduling and dispatching operations, provide new levels of customer service, and support innovative business practices. However, the process for planning and implementing appropriate technology-based applications can be challenging. This course presents a structured approach for planning, implementing, and evaluating rural transit projects to help ensure that agency needs and expectations are met. Actis Group was established in late 1987, shortly before the publication of the first issue of the magazine Le Rail in January 1988. Originally published every two months, six issues per year. After including two special issues, the magazine became monthly from 2006. 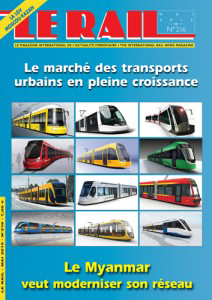 Le Rail adopted a different editorial line than the other publications available in this sector. Resolutely turned towards the rail industries and professionals, Le Rail reports international news about international policy implemented in industrial and engineering groups in France. Shaping the Future of Public Transport Trapeze is a world-leading supplier of public transport solutions. The companies in the Trapeze Group supply state-of-the-art software, Intelligent Transportation Systems (ITS) and mobile technologies to passenger transportation companies. Hundreds of public and commercial companies in North America, Europe, South Africa and Asia use Trapeze products to increase their efficiency, improve the quality and scope of their services and transport more people at lower costs.